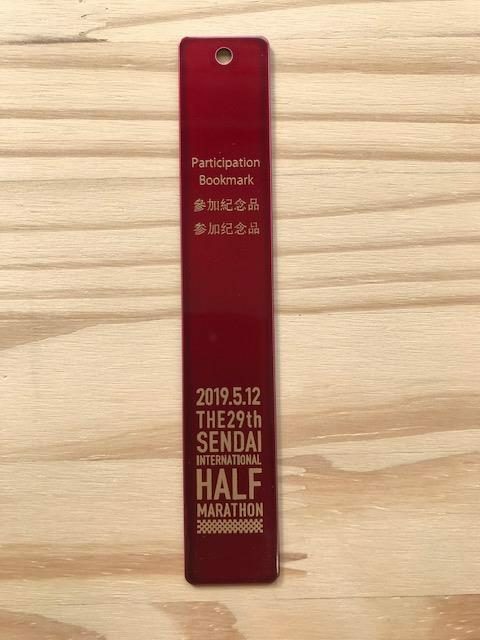 Entrants can get participation bookmark if participate Half Marathon (Extra Application Spot). You can check sample the following URL. This page is intended to be used by foreign entrants who live overseas and within Japan. *For the welfare and support of ‘children,’ ‘culture,’ and ‘sports’ in Sendai to help recovery from the Great East Japan Earthquake, following organizations are designated for donation in each purpose. Donors can choose one of the four recipient categories depending on their purposes. *For more details about the income tax deduction for donations, please contact tax offices directly. *Depending on the municipality where you reside in, you may receive individual inhabitant tax deduction for donations. Please contact your municipality directly. JAAF Registered Athletes.Men and women who are 18 years or older as of Race day excluding high school students,who can finish within the set time. Men and women who are 18 years or older as of Race day excluding high school students,who can finish within 2 hours and 30mins. Men and women of high school age or above,Healthy,and capable of finishing within 50 min. *5km and 2km courses are not certified by the Japan Association of Athletics Federations (JAAF). •Entrants must have JAAF ID. For inquiry of your JAAF ID, please ask Prefectural Amateur Athletics Association you are registered or refer to JAAF ID searching system (https://api.start.jaaf.or.jp/search). *Entrants must complete registration for F.Y. 2019 by the date of May 8 (Wed.). •Entrants must have completed a JAAF certified race or IAAF certified race between December 1, 2017 and November 30, 2018 within the qualifying times listed in the table below with an official record. 1) Half Marathon (Elite Div. ): Men and women who are 18 years or older as of May 12, 2019 (Sun.) (race day), excluding high school students. 2) Half Marathon (JAAF Registered): Men and women who are 18 years or older as of May 12, 2019 (race day), excluding high school students. 3) Half Marathon (Open Div. ): Men and women who are 18 years or older as of May 12 (race day). •Entrants must be healthy and capable of finishing the Half Marathon (21.0975km) within 2 hrs. 30 min. *JAAF Registered Athletes are also eligible to apply. 4) Half Marathon (Charity Runner Div. ): Men and Women who are 18 years or older as of May 12 (race day). ・Healthy individuals who can complete a half marathon (21.0975 km) within 2.5 hours. 5) Half Marathon (Wheel chair Div. ): Men and Women who are 18 years or older as of May 12 (race day). •Entrants must have completed a race between January 1, 2018 and December 31, 2018 by a wheel chair within the qualifying times listed in the table below with an official record. 6) 5km: Men and women of high school age or above. •Entrants must be healthy and capable of finishing a 5km race within 50 min. 7) 2km: Children of 4th grade of elementary school age to junior high school age, and adults over 60 years old. •Entrants must be healthy and capable of finishing a 2km race within 20 min. 1.An individual may not apply for more than one race. Individuals who are found to have applied for more than one race will be disqualified and will not be refunded their entry fees and processing fees after the application. 2.Misrepresent action of age, gender, records, or other information, or participation by a runner other than the applicant (false entry) are not allowed. If such an act is found, the individual participant or group participants will be disqualified and may be banned from future participation in this event. 3.A submitted application may not be altered, corrected, or cancelled. If there is a problem with the submitted information, the secretariat office will contact the applicant by the e-mail address or telephone number provided. 4.Please note that the secretariat office will not respond to telephone inquiries about the acceptance of applications. 5.Registration cannot be transferred, nor may another runner participate in the event in place of the applicant. If such an act is discovered it will result in disqualification. No compensation shall be made in such an event. Also, please be aware that entry fees will not be refunded. 6.The organizers claim no responsibility for delays in the receipt of applications due to the circumstances of the postal service or internet problems. 7.Please be aware that internet application may not be possible using some computers, operating systems or internet browsers. *Aid Staff will be positioned at fixed points along the course so activities will be coordinated with them. In emergency situations such as cardiopulmonary arrest, life-saving measures will be implemented, the nearest race official (official on the course) and medical staff will be contacted and an ambulance requested. *After doing this, return to the course and continue with your duties. 1) Doctors, nurses, assistant nurses, emergency life paramedics, individuals who have completed Emergency Treatment Course I and individuals who have completed Emergency Treatment Standard Course. Those who have one of the above qualifications and can perform cardiopulmonary resuscitation and first aid. 2) Individuals who have experience completing a full marathon/half marathon and can perform their duties while running the course. ・Please complete check-in in time for the start time of each category. ・Please note that the changing room and baggage deposit will differ depending on the start block of the numbercard. ・Only top three male and female finishers will be awarded at the award ceremony. ・Only the overall top three male and female finishers will be awarded at the award ceremony. ・Finishing order within age groups will be determined by Net Time. First to eighth place finishers in each of the above five age groups will have their award certificates and commemorative gifts (no ceremonies will be held for age-group awards). ・Only the overall top three male and female finishers will receive their awards at the award ceremony. ・First to eighth place finishers in each of the above five age groups will have their award certificates and commemorative gifts(no ceremonies will be held for age-group awards). ・Only the top three finishers will be awarded at the award ceremony. ・No awards will be given for overall ranking in the 2km race. 1) Attach number cards to the chest and the other to the back with the provided safety pins so they are readily visible. accordance with the race rules of Japan Para Athletics (JPA) and regulations of this event. In addition, this race utilizes RS Tags (Runner’s Sport Tags) to record times. Please attach the tag to your shoelaces using twist ties. (Participants in the Wheelchair Div. should attach the tag to the front or rear frame of their wheelchair.) Please do not remove the tag until the end of the race. *Note that record time may not be measured correctly, if you attach the RS Tags to any other place than your shoelaces. 2) Regarding records, Gross Time and Net Time will be measured for Half Marathon participants, and Split Time will be measured for Gross Time every 5km. Only Gross Time will be measured for the 5km and 2km races. 5) The organizers will handle any accidents that occur during the race within the scope of accident insurance. Participants are requested to bring a health insurance card (or copy thereof) in case of accident. Checkpoint JAAF　Elite/ Registered Div./Open Div. *Other than the checkpoints listed above, runners who are clearly behind may be ordered to stop the race. *Regardless of the given times for checkpoints, the course will be closed after the traffic control car following the last runners passes by. No runner may run behind the traffic control car. *During the race, if the race officials determine that a runner in the Wheelchair Div. will be overtaken by runners of the Elite Div., that runner will be disqualified for safety reasons. A race official will direct the runner to discontinue the race. Please follow the directions of the race official and board the pick-up bus. *Runners who fail to pass a checkpoint by the designated time must discontinue the race. Please follow the directions of race officials, immediately remove your number card and move to the sidewalk. Board the pick-up bus at the next checkpoint. *At 12:45 (2 hrs. 40 min. after starting), all races will end regardless of whether checkpoints have been passed. Traffic control will end and it will be impossible to continue running. Runners who are still on the course must immediately discontinue the race, move to the sidewalk and remove their number cards. Note) Runners who have not passed the checkpoint may not continue running. They must immediately discontinue the race, move to the sidewalk, and take off their number cards. 10) Baggage can be deposited at the Baggage Deposit Station starting at 7:00 a.m. on the day of the race. Attach the Baggage Tag you will receive at pre-race check-in to your belongings. *Please be aware that the organizers claim no responsibility for lost or stolen baggage. *Please keep your valuables with you at all times. 11)Tents for changing clothes will be available, but they are expected to be crowded. To the extent possible, please arrive at the venue dressed in your running clothes. *After 9:40, runners will no longer be directed to starting blocks. Please be aware that runners who do not arrive in time for the assembly will start the race after the final block regardless of their self-reported times. *Please note that entrants who do not arrive in time for 10:05 start will be disqualified. *After 8:50 for 5km, and 9:00 for 2km, runners will no longer be directed to starting blocks. Please be aware that runners who do not arrive in time for assembly will start the race after the final block regardless of their self-reported times. *Please note that entrants who do not arrive in time for their race start time will be disqualified. *Proxy assembly by guardians etc. is not allowed in any case. Be sure that runners should assemble by themselves. 14) A number card and a participants' guide will be sent to all entrants in the middle of April via our website. 15) There is no parking lot at the starting area, so please use public transportation. The organizers claim no responsibility for delayed arrivals due to public transportation, traffic congestion, etc. 16) Runners from the Elite Division and JAAF Registered Division who place highly in the half marathon will be invited to the Kume Island Marathon and those of open division will be invited to the Kobe Marathon and the Kyoto Marathon. One male runner and one female runner will be invited to each race and only Sendai resident are eligible for aforementioned invite. 17) Runners from the Elite Division and JAAF Registered Division who are highly awarded will be recommended as runners for alliance race ‘RUN as ONE – Tokyo Marathon 2020 (Semi-Elite). Only runners who are residents of Miyagi Prefecture and who are registered in the Miyagi Amateur Athletics Ass18) No entrant may wear or display any design or trademark representing a company or product for the purpose of advertising at the venue, including on the course. In addition, no entrant may wear or display items with political slogans or language against public order and morals. Moreover, should an organizer deem an item of yours to be inappropriate, you may be refused entry the race. 19) Entry or running in the course by those who are not entrant is a nuisance and strictly prohibited. 20) Please note that the organizers may allow the sale of photos, etc. on a consignment basis. 21) All runners’ records will be uploaded to the official website at http://www.sendaihalf.com. 23) Half Marathon finishers (Elite Div./JAAF Registered Div.) will be given an official time certificate. Half Marathon finishers and 5km and 2km finishers will be given a certificate of completion (for details on the distribution of certificates, please see the Participants’ Guide that will be sent in mid-April). 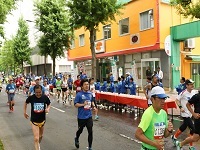 24) Half Marathon finishers of open division who are JAAF registered and want to receive an official time certificate need to send the request to the event organizers by email(sendai_half@spf-sendai) or by FAX(022-297-1323) during May 12(Sun), 2019-May 31(Fri), 2019. All information stated below are required no later than June 1(Sat). 25) This race is subject to the Japan Half Marathon Ranking presented by R-bies, INC.
26) In addition to the above, please follow all directions given by the organizer with regard to the event. 1.The organizer recognizes the importance of personal information and shall comply with all applicable laws and regulations and abide by its personal information protection policy. 2.Participants’ personal information will be used to enhance services provided to participants, to deliver invitations and guidance, record notification, related information, invitations for future competition events, services provided by cooperating and related organizations, and to announce rankings. Additionally, organizers and authorized representatives may use your personal information to contact you in order to verify details of your application. 3.Sendai International Half Marathon forms an alliance with ‘RUN as ONE – Tokyo Marathon 2020 (Semi-Elite). According the alliance, participants’ personal information in this event will be provided with Tokyo Marathon Foundation by electromagnetic means. 1)Name 2)Gender 3)Date of Birth 4)Contact details 5)Records (Result). This information will be used for entry of ‘RUN as ONE – Tokyo Marathon 2020’ and to determine starting block for Tokyo Marathon based on the result in this event. Please refer to your T-shirt size below list. 1.Submitted applications cannot be altered or cancelled due to personal circumstances. 2.If the event is cancelled or curtailed due to conditions beyond the organizer's control (earthquakes, storm or flood damage, incidents, accidents, etc. ), personal circumstance, multiple applications, and overpayment or multiple payments, entry fees will not be refunded. 3.Participants must not falsify their age, gender, or other information, or employ a proxy runner. If such an act is discovered, the participant must abide by the decision of the organizer to revoke the participant’s entry and any awards, bar the participant from future participation in the event, etc. Participants understand that the organizer has no responsibility to provide aid or refund the entry fee in such cases. 4.Participants must not suffer from heart disease or other illnesses, must pay attention to their health and undergo adequate training before participation. The participant assumes responsibility for all illness, injury, accident, and loss. If the participant is not feeling well on the day of the event, they must withdraw from the race. 5.During the race, if the organizers (staff, doctors, medical staff, etc.) determine that there is an obstacle to a participant’s continued participation in the race, the participant must follow directions to discontinue the race immediately. In addition, participants must follow directions from the organizers concerning safety and/or the administration of the event. 6.A participant who becomes ill or injured during the event may not refuse emergency medical treatment, and shall not hold the organizer responsible for the methods used, their efficacy, etc. 7.Participants release the organizers from responsibility concerning accidents, losses, injuries or illnesses that may occur during the event, and agree not to claim damages. 8.Participants understand that compensation for accidents, illness or injuries that may occur during the event shall be within the scope of insurance coverage provided by the organizer. 9.Participants’ family members, relatives and guardians (in the case of a minor) must consent to the participant’s participation in this event. 10.Participants consent to the reporting, publication and use of videos, photographs, articles, and records relating to the event (including personal information such as name, age, gender, records, and portraits) in the newspaper, television, magazines, internet, and pamphlets. Participants grant the organizers the right to publish and use this information. 11.Participants must agree to the organizer’s rules regarding the handling of personal information, which are specified in a separate document.